In the surgical approach for perihilar cholangiocarcinoma, one of the most important aims is to achieve a bile duct margin-negative resection because a negative resection margin is a crucial determinant of prognosis after curative-intent resection. 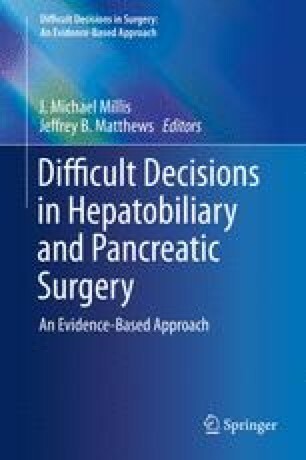 Advances in the knowledge of perihilar anatomy and surgical techniques, including perioperative management, have made an extended hepatectomy with complete resection of the caudate lobe the recommended approach for a promising outcome after curative-intent surgery for perihilar cholangiocarcinoma. Enhanced multidetector-row computed tomography (MDCT) with three-dimensional and multiplanar reconstruction is necessary for both a precise preoperative evaluation of the tumor extent and safe and curative surgical resection, while the gold standard for preoperative assessment of the bile duct margin is cholangiography or MDCT/magnetic resonance cholangiography, depending on the surgeon’s preference.